Dog as a human is a part of the nature and there should be enough place for both under the sun. “Ištikimas Šuo” (engl. “Faithful Dog”) is a name of dogs kennel in Lithuania. 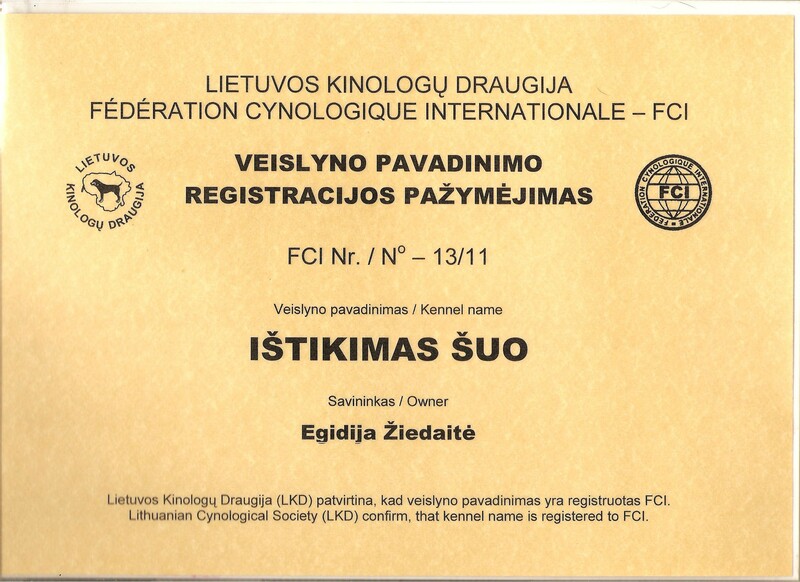 This kennel is registered in Dogs Association of Lithuania and FCI. We would like to share our knowledge how to treat Beagle, Jack Russell Terrier or Welsh Springer Spaniel.